1Programa de Pós-Graduação em Medicina: Ciências Médicas da Universidade Federal do Rio Grande do Sul. Serviço de Bioética do Hospital de Clínicas de Porto Alegre, Brazil. 2Laboratório de Pesquisa em Bioética e Ética na Ciências, Hospital de Clínicas de Porto Alegre, Brazil. 3Serviço de Psiquiatria das Adições, Unidade Álvaro Alvim, Hospital de Clínicas de Porto Alegre, Brazil. 4Programa de Pós-Graduação em Medicina: Ciências Médicas da Universidade Federal do Rio Grande do Sul. Serviço de Bioética do Hospital de Clínicas de Porto Alegre, Brazil. The aim of this article is to evaluate moral-psychological development, autonomy, and self-determination in patients with substance use disorder (SUD). Moral-psychological development was assessed using a tool to determine individuals’ decision-making ability. Our qualitative approach was based on ethnographic research and participant observation. Fifty per cent of the patients (n = 9) were found to be in the conformist stage, 39 per cent (n = 7) were in the conscientious stage, and 11 per cent (n = 2) were in the autonomous stage, according to Loevinger’s stages of ego development. Our field observations revealed issues of social belonging, symbolic aspects of the treatment, distinction between autonomy and self-determination, and re-signification of the meaning of autonomy. All patients were considered able to make decisions in their best interests, taking into account their stage of moral-psychological development according to Loevinger’s stages. They were also equipped to produce moral arguments to legitimize their actions. Key words: bioethics; substance use disorder; personal autonomy. El objetivo de este artículo es evaluar el desarrollo moral-psicológico, la autonomía y la autodeterminación en pacientes con trastorno por uso de sustancias. El desarrollo moral-psicológico se evaluó utilizando una herramienta para determinar la capacidad de toma de decisiones de los individuos. Nuestro enfoque cualitativo se basó en la investigación etnográfica y la observación participante. Se encontró que el cincuenta por ciento de los pacientes (n = 9) estaban en la etapa conformista, el 39 por ciento (n = 7) en la etapa de conciencia y el 11 por ciento (n = 2) en la autónoma, según las etapas de Loevinger del desarrollo del ego. Nuestras observaciones de campo revelaron problemas de pertenencia social, aspectos simbólicos del tratamiento, distinción entre autonomía y autodeterminación, y resignificación del significado de autonomía. Todos los pacientes fueron considerados capaces de tomar decisiones en su mejor interés, teniendo en cuenta su etapa de desarrollo moral y psicológico. También estaban equipados para producir argumentos morales para legitimar sus acciones. Palabras clave: bioética; transtorno por uso de sustancias; autonomía. O objetivo deste artigo é avaliar o desenvolvimento moral-psicológico, a autonomia e a autodeterminação em pacientes com transtorno por uso de substâncias. O desenvolvimento moral-psicologico foi avaliado utilizando uma ferramenta para determinar a capacidade de tomada de decisões dos indivíduos. Nossa abordagem qualitativa, baseou-se na pesquisa etnográfica e na observação participante. E foi encontrado que cinquenta por cento dos pacientes (n = 9) estavam na etapa conformista, 39% (n = 7) na etapa de consciência e 11% (n = 2) na autônoma, segundo as etapas de Loevinger de desenvolvimento do ego. Nossas observações de campo revelaram problemas de pertença social, aspectos simbólicos do tratamento, distinção entre autonomia e autodeterminação e ressignificação do significado da autonomia. Todos os pacientes foram considerados capazes de tomar decisões no seu melhor interesse, tendo em conta o seu estágio de desenvolvimento moral e psicológico. Eles também estavam equipados para produzir argumentos morais para legitimar as suas ações. Palavras-chave: bioética; transtorno por uso de substâncias; autonomia. Substance use disorder (SUD) are a serious social and public health problem in many countries worldwide, including Brazil(1-2-3-4-5-6-7-8). A survey conducted by the Brazilian Information Center on Psychotropic Drugs (CEBRID) between the years 2001 and 2005 made clear that the consumption of psychoactive substances has grown significantly in Brazil(9). In the past twenty years, this has included the use of crack cocaine(10). Epidemiological data have shown an increase in crack cocaine use as well as some of the consequences for users, public health, and society. According to the CEBRID survey, for example, the use of crack cocaine nearly doubled at the national level, and in southern portions of the country lifetime use increased from 0.5 per cent to 1.1 per cent -doubling in four years the number of individuals who use crack in their daily lives (9). This increased consumption of psychoactive substance, particularly crack cocaine, brings with it a number of biological, neurological, cognitive, psychological and social consequences, such as increased urban violence and crime(11-12-13) and risk of transmission of infectious diseases such as HIV/AIDS(12-13-14-15). Psychosomatic concerns for people who use psychoactive substance range from changes in the structure and functioning of the brain(16,17) to other neurological, cognitive, and psychological alterations, often leading the individual to seek treatment for SUD(17). However, the psychosocial consequences are those that stand out most in this discussion: prostitution, family disintegration, social neglect, marginalization, violence, and crime. A study by researchers from São Paulo, Brazil, showed that of 131 patients treated at a hospital for crack cocaine use, about 10 per cent were arrested for involvement in illegal activities and 21 per cent were victims of homicide due to involvement in illegal activities(2). These data indicate the seriousness of this problem and the need for a greater investment of resources, particularly for research seeking to understand this complex phenomenon that involves different spheres of social life. The “sociocultural” life and environment of individuals who use psychoactive substance also “predisposes” them to certain risks and risk behaviours. Certain characteristics make them identifiable as an individual who uses psychoactive substance, due to physical and bodily consequences such as wounds on the hands and lips and weight loss, among other damage(18-19-20). Additionally, many constituents of this “culture” must deal with highly oppressive sexual behaviours that place them at risk of HIV/AIDS and other sexually transmitted diseases (STDs) as well as lives of social exclusion and participants in and/or victims of drug trafficking and other crime and violence. SUD is considered to be a complex chronic and relapsing syndrome and one which has both significant effects on individuals’ overall health and neurobiology(21,22), that may induce and/or increase compulsive behaviours that interfere in one’s daily life(17,18,19,20,21), and sociocultural, economic, political, moral and ethical consequences that impact not only the person using but also families and society as a whole. Thus, a multifaceted approach that integrates several fields of knowledge and practice related to this problem should be adopted(21,22). In this sense, “complex bioethics” and its theoretical and methodological aspects can be an important tool for understanding this phenomenon. Complex bioethics is defined as “a shared, complex and interdisciplinary reflection on the appropriateness of the actions that involve life and living”(23,24). It aims to analyse, in a comprehensive and complex way, different aspects of human actions involving life as a biological category and life as a moral, social, cultural and political category(23). This is particularly apt for exploring the moral capacity for decision-making, autonomy and self-determination of individuals who use psychoactive substance, an important subject for understanding and addressing SDU but one that has rarely been examined. The study presented in this paper arose following the participation of members of the Department of Bioethics at the Hospital de Clinicas de Porto Alegre (HCPA) in the activities of the institution’s newly created Addiction Unit, which offers innovative treatment for SUD in Brazil. Participation began gradually as part of the unit’s regular clinical meeting, involving discussion of logistical, conceptual, ethical and service issues. Our objective was to evaluate the moral-psychological development, autonomy and self-determination in patients who use psychoactive substance and had been admitted to the Department of Addiction Psychiatry at the HCPA for the management of SDU, particularly crack cocaine. It has been traditionally considered that the term bioethics (an interdisciplinary field of knowledge) was first used by U.S. oncologist Van Rensselaer Potter with the 1971 publication of his book, Bioethics: Bridge to the Future. Potter defined bioethics as the link between scientific knowledge and human values, a bridge necessary for the survival of human beings in the face of ethical and moral problems arising from the advancement of science(25). Nevertheless, recent findings suggest that the term bioethics (bio-ethik in German) was coined by Fritz Jahr, a German Protestant psychoactive substancetor. In his 1927 article “Bio-Ethics: A Review of the Ethical Relationships of Humans to Animals and Plants,” Jahr noted that experimental psychology at that time no longer should be narrowly concerned with obtaining a better understanding of the psychological pathology of human beings but also should include working with animal models to understand (non-pathological) human behaviour(26). Thus, a new ethic arose from the use of animal models for understanding human behaviour, a perspective that highlights a respect for other living beings, including animals and plants. Animal research models, such as zootomic models, as well as comparisons between the human soul and the animal soul were already being carried out. According to Jahr, this observation shows that even within psychology, a science that essentially deals with humans, researchers were already beginning to formulate ethical concerns related to other living beings. This field of knowledge was called bio-psychik (26). Jahr also suggested the need for an overarching bioethical imperative in a 1926 article, stating it as: “Respect every living being on principle as an end in itself and treat it, if possible, as such!”(27). Using this imperative, which is based on Kantian influence, Jahr proposed an ethical duty relating human beings to other living beings(27). Since the 1970s, there has been a significant increase in the number of studies in bioethics. Studies have been conducted on the ethics of research(28,30), the decision-making process and informed consent (31,32), amongst others. During such discussions, the work of Beauchamp and Childress (33) has played an important role -attempting to provide answers to the ethical problems of the biomedical sciences based on what they call the four principles, namely, respect for autonomy, beneficence, non-maleficence, and justice. This perspective has been very influential since its inception in the 1970s, particularly in healthcare and medicine, and many studies in bioethics have adopted this point of view. With the increasing advancement of biotechnology and the complexity of ethical conflicts with biomedical research and the biomedical sciences, however, new theoretical and methodological contributions have been proposed. Among these new contributions is the rise of human rights perspectives in bioethics, advances in virtue ethics, the work of Emmanuel Levinas and “otherness,” and complex bioethics. As noted above, we employed complex bioethics in the present study in order to examine the moral development and decision-making ability of individuals who use psychoactive substance who were admitted to a teaching hospital. This study is especially important because crack cocaine users usually are not allowed to participate in the most basic decision-making processes and are excluded from society, leading them to face marginality and vulnerability. Building morality and a moral community distinct from that experienced within the “culture” of psychoactive substance use is one of the objectives of the treatment and recovery of patients with SUD. The internalization of values and the development of moral arguments capable of changing behaviour is a continuous process that takes place in different ways and at different times during treatment. Such processes aim at achieving the incorporation by individuals with SUD of norms and values that will guide morally appropriate actions. That is, the objective is to assimilate what we, as a society, define as suitable for the development of an appropriate social life, enabling individuals to use moral arguments to make their decisions according to a system of rules and values that are legitimated by them and society. Several researchers have studied both individual and social moral development including, most notably, Jean Piaget, Laurence Kohlberg, and Jane Loevinger. According to the different theories of moral-psychological development, autonomy is the ability of individuals’ to make decisions based on moral arguments. Using observation and interviews, Piaget studied the moral-psychological development of children in the context of the rules of the game of marbles. He classified moral-psychological development along the following two dimensions: (a) practice and (b) awareness of the rules, which refer to the three stages of moral-psychological development: anomie, heteronomy, and autonomy(34). Kohlberg continued this discussion and expanded this classification based on the results of his study using moral dilemmas. His classification included the following three levels: pre-conventional, conventional, and post-conventional, with each level subdivided into two stages(35). Finally, Loevinger suggested that adherence to rules and enactment of autonomy were based on the stages of ego development. Her classification is broader than the ones proposed by Piaget and Kohlberg and provides seven stages of moral-psychological development: (a) presocial; (b) impulsive; (c) self-protective; (d) conformist; (e) conscientious; (f) autonomous; and (g) integrated(36). The table below, adapted from Goldim, shows a comparison of the different theories about moral-psychological development(37)(table 1). 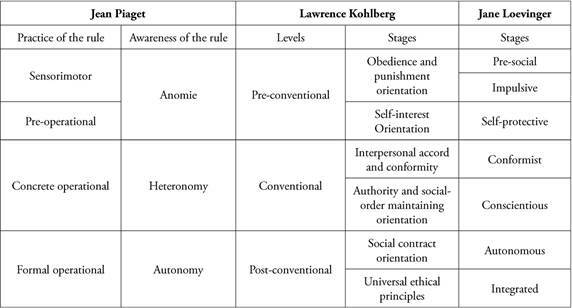 Table 1 Comparative table between the theories of Jean Piaget, Lawrence Kohlberg, and Jane Loevinger on moral-psychological development (adapted from Goldim 1999). We chose to use Loevinger’s model for our study of moral-psychological development of inpatient treatment of individuals with SUD, because we feel this theory better accounts for the peculiarities of the previous models outlined by Piaget and Kohlberg. Moreover, this theory offers important insights regarding the process of moral-psychological development and demonstrates that the stages are dynamic and not static and that as a result individual processes of decision-making may vary depending on the individual’s developmental stage. (1) Pre-social: In the first stage the individual is unable to distinguish between self and other, between self and non-self. The interpersonal style that characterizes individuals at this stage is one of symbiosis, especially with the mother(36,38,39). (2) Impulsive: The second stage is characterized by impulsive behavior and a fear of retaliation. The interpersonal style is one of receptivity, dependence and exploitation. Individuals are preoccupied with bodily impulses, both sexual and aggressive, and their cognitive style is based on conceptual confusion(36,38,39). (3) Self-protective: In this stage individuals fear being caught, externalize blame to others, and opportunism. Interpersonal style at this stage is marked by caution, manipulation, and exploitation. Individuals are preoccupied with gaining advantage, domain and control over others, and self-protection(36,38,39). (4) Conformist: The fourth stage is characterized by conformity to external rules and the shame associated with noncompliance. The interpersonal style is characterized by the conformity to external rules, the feeling of group belonging, and reciprocity, however superficial and limited. Preoccupations include social acceptability, reputation and status, and cognitive style is marked by simplicity and conceptual stereotypes(36,38,39). (5) Conscientious introspection: During the fifth stage external rules become internalized and their transgression generates guilt. Interpersonal styles becomes intense and meaningful, and are associated with a greater sense of responsibility for others. Preoccupations related to duties, accomplishments, different feelings, motives or justifications for behaviour, self-respect and self-criticism are exacerbated. Cognitive style is based on the conceptual diversity(36,38,39). (6) Autonomous: This stage is characterized by awareness and acceptance of inner conflicts and the solutions to them. The interpersonal style of individuals at this stage is intense and shows respect for the autonomy of individuals and interdependence of individuals. Preoccupations involve personal development, self-realization, and differentiation of social roles. Cognitive style is guided by increased conceptual complexity, objectivity, and tolerance of ambiguity(36,38,39). (7) Integrated: The seventh and last stage is characterized by reconciliation of internal conflicts and the renunciation of the unattainable. Interpersonal style values individuality and preoccupations include the integration of identity with the social whole, thus moving from independence to interdependence(36,38,39). Individuals could be considered as competent to make decisions in their best interests when they are classified between stages 4 to 7. In order to meet the proposed objectives of this study we employed complementary qualitative and quantitative methodological strategies. The first aimed to evaluate the moral-psychological development of participants through the application of an instrument previously validated for this purpose. The second sought to understand the degree of autonomy and self-determination of study participants through the application of ethnographic methods -specifically participant observation. The quantitative instrument, which consists of four sets of questions, seeks to verify the decision-making ability of individuals. Decision-making capacity is based on a number of key skills including the ability to appreciate and understand the risks and benefits of involvement and participation in treatment. This instrument was initially proposed and validated in Brazil by Souza(39). Goldim and collaborators(40) subsequently modified the validation of the instrument and Raymundo and Goldim(41) validated the instrument for use in different age groups. The quantitative instrument was completed by eighteen patients between December 2012 and January 2013. All study participants were informed about the objectives and procedures used in this study and signed an Informed Consent Form. Participants were invited after the participation in group activities by their care team in order to complete the questionnaire. Qualitative approaches have as one of their aims to understand social phenomena in their complexity and specificity. Our qualitative approach was based on ethnographic research methods and participant observation(42,43). This method consists of immersion of researchers into the field of study in order to continuously observe the cultural and social aspects of the phenomenon in question and the relationships established within the research environment. Field observations were performed through immersion of the researcher (LFG) into the world of users of crack cocaine and other drugs who had been admitted for treatment to the Addiction Unit of the HCPA. Participant observation was conducted from December 2012 to January 2013 with the aim of understanding aspects related to the moral-psychological development and the autonomy of the patients admitted. As part of this process, a field diary was established as an important methodological tool for systematic annotation of the cultural, social, political, moral, and environmental aspects and social relations between individuals during different stages of their development. Researchers signed a liability form regarding the use of data and protection of privacy and confidentiality. The project was approved by the Institutional Review Board at the HCPA. The study sample consisted of eighteen male crack cocaine users. Their mean age was thirty-one years, with a range of nineteen to forty-eight years. Sixty-one per cent of participants (n = 11) had only a primary education, 22 per cent (n = 4) had completed high school, and 17 per cent (n = 3) had completed college. The stage of moral-psychological development of participants was assessed according to Loevinger’s classification of stages of ego development(36). Fifty per cent (n = 9) of participants were found to be in the conformist stage, 39 per cent (n = 7) in the conscientious stage, and 11 per cent (n = 2) in the autonomous stage. Using Loevinger’s parameters, all patients were considered capable of making decisions consistent with their best interests because all of them were classified between stages 4 to 6. The data regarding the influence of educational level and age of participants is consistent with the results of other studies conducted with users of crack cocaine and other licit and illicit substances in Brazil(4,18-20,44) which have demonstrated that age and educational level were not related. Although the quantitative data in our study is dependent on a small sample, it demonstrates the use of crack cocaine not only by individuals with only primary or secondary education but also amongst individuals with tertiary education. This highlights the fact that crack cocaine use exists not only among economically vulnerable populations but also in high-income social groups. Our results reveal variation in the stage of moral-psychological development of participants similar to that observed in other studies. The conformist stage was the most prevalent stage amongst participants in our sample. This is consistent with other studies conducted by Brazilian researchers with vulnerable populations as adolescents as well elderly, in which participants were more commonly found to be in the conscientious stage of development(37,40,41,45). People in the conformist stage are characterized by concerns with material things, appearance, reputation, belonging, and social acceptance(36,38,39) and are focused on obtaining advantage and/or personal gain in their relationships with the others(37). These characteristics, which were found in 50 per cent (n = 9) of our patients, complement an important point raised by these patients within the therapeutic groups; i.e., the issue of identity and the need to belong to a social group. In these circumstances, users may develop specific skills and strategies typical of this stage of development(46). For example, concerns with social status, group acceptance, reputation, and so on, may emerge in the context of a highly coercive environment, such as the “culture” of psychoactive substance use, in which disrespect for group rules is accompanied by a strong feeling of guilt. The results of our sample showed that all the patients’ decision-making abilities were preserved, which is consistent with other studies involving vulnerable populations, such as older adults, research participants, and adolescents(37,40,41,45,47,48). This is also consistent with other studies which have shown that the moral-psychological development of individuals is not impacted by age and educational level(41). Durkheim in his study on the division of labour in society, mentioned the human need for acceptance and belonging to a community or social group(49). In this work, the author identified two types of social solidarity, which are linked to different types of social belonging. The first type of belonging is linked to mechanical solidarity. The sense of belonging is based on the individual’s participation in complying with the rules of collective awareness. In this sense, there is a predominance of collective awareness and the social being at the expense of individuals’ desires. In other words, the individual’s desire is the desire of the community, the desire of the group, and the context is one of moral positivism. In the second type of social belonging (organic solidarity), a sense of belonging occurs not only based on the similarities between individuals, but also on the interdependencies of the whole society(49,50). During group therapy sessions, several patients reported a great need to be accepted and to belong to a group, which is evidenced by the most frequent stage of moral-psychological development, the conformist stage. There were various reports about the importance of belonging to a social group, demonstrating the relevance of this issue for the inpatients. Reports such as -“in my community, if I don’t do such a thing, I will not be accepted by others” (S1)- were frequent during group therapy sessions and informal conversations with patients in the observation period, demonstrating how collective awareness is much more important than the individual’s desire to change their lifestyle. However, living in a hospital environment is an important way to show patients that new possibilities of belonging are possible. To move from the Detoxification Group (DG) to the Rehabilitation Group (RG) (to advance to a “higher level”), patients have to recognize their role within the complex network of interdependencies that exist in the treatment of SUD in a hospital environment. As a consequence, patients become aware of the possibility of living in social environments different from those they have previously experienced. We also found that all patients could be considered capable of decision-making. In other words, all participants had the autonomy necessary to make decisions in their best interests. Autonomy is a key concept in bioethics. Since the publication of the Belmont Report, a report commissioned by the U.S. government to create ethical guidelines for human research(30), respect for autonomy has remained an important aspect in discussions surrounding the role of autonomy and individual decision-making ability in biomedical research and healthcare within the U.S. context. Beauchamp and Childress stressed the importance of respecting individual autonomy, in the sense that biomedical professionals should respect the autonomous choices of individuals in the context of healthcare and health research(33). However, a clear distinction between the moral ability to make a decision (autonomy) and actual decision-making ability (self-determination) is not available in the literature. The first concept refers to the decision-making ability from the individual’s moral standpoint, and the second concept is related to the actual decision-making ability. Autonomous individuals may have their self-determination constrained by elements of associated coercion. This differentiation is necessary when seeking to understand important dynamics of the decision-making process in the general population and especially in vulnerable populations, such as children and adolescents, prisoners, psychoactive substance users, and the elderly. In a case report based on a study of the elderly population of a municipality located in the state of Rio Grande do Sul, Bajotto and Goldim(47) demonstrated this distinction between autonomy and self-determination. Many of the elderly were deemed capable according to the administration of an assessment tool of moral-psychological development; however, in practice their ability to make autonomous decisions was impeded by other family members who took control of the decision-making process(47). Data from studies such as this are consistent with what we observed in the different therapeutic groups. On the basis of our results we would argue that the distinction between autonomy and self-determination is valid, both from a theoretical and a practical point of view. Based on our data and existing theories of moral-psychological development, we found that all the participants in the present study could be considered capable of making decisions in their best interests. Furthermore, based on our field observations, we also found that the autonomy of these patients was preserved in terms of their ability to make decisions based on moral arguments. Participants’ autonomy was preserved because they had the chance to participate in the creation of the rules of the Admission Unit, providing these rules with moral and social legitimacy, as well as having the chance to participate in the construction of the treatment program. We would argue that this demonstrates the importance of this participation for the redefinition of moral autonomy and the importance of user involvement in the public health system and particularly in the construction of the public health service. The authors would like to thank the Research Incentive Fund of the Hospital de Clínicas de Porto Alegre (HCPA) and the Brazilian Federal Agency for Support and Valuation of Graduate Education (Coordenação de Aperfeiçoamento de Pessoal de Nível Superior, CAPES) for funding this research.